A Leading company in the international automotive driving simulation market. 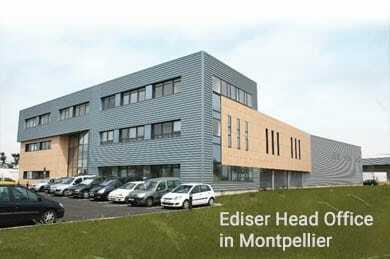 Founded in 1992, Ediser (today owned by Media Participation Group) is a French company specialized in the design of a various range of educational products intended for driver training such as: teaching paper based materials and booklets - innovative tools (E-learning, LMS) multimedia software (Tablet PC and smartphones apps for highway code) - embedded educational system for driver assessment and a large range of highly innovative and efficient driving simulators and simulation software. 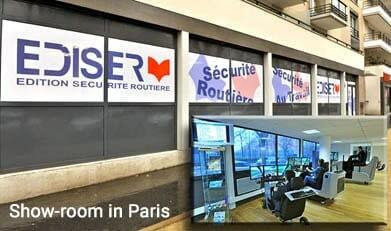 Ediser is the leader in its sector in France and it is supplying close to 7 000 driving schools and training centers and many companies in the transport & logistic field or organizations and institutions (like Police departments or academies, Armies, Firefighters and rescue vehicle drivers) with a commitment to provide its clients with the most efficient and up-to-date products. Our Simulators are fully manufactured in-house! Both hardware and software are designed and manufactured internally by Ediser. Our company employs 85 people and about 1/3 are specifically dedicated to the simulation department. Our Team comes from experienced pedigree and is composed of interdisciplinary skills: desktop publishing (DTP), software developers, graphic designers, engineers, training instructors, regulatory monitoring specialist, maintenance technicians, accountants, computer-savvy, after-sales service and managers, delivery drivers, sales and marketing people… They truly make the difference! Ediser manufactures only automotive ground vehicle driving simulators. Our simulators are intended for all kind of drivers or categories and training (passenger cars, trucks, buses, ambulances, first aid and emergency vehicles, police cars, military vehicles … – all for beginner, experienced or professional drivers). Our range of software are particularly recognized for being highly efficient for training and they are in accordance with the European and International training standards. Our software are fitted with meaningful innovations and comprehensive road and environment data base. The imaging quality, software powerful physic engine and strong vehicle dynamic behavior are also particular important assets and elements of our software. Our simulators improve quality and speed up drivers training and allow training instructors to teach and analyze (monitor) trainee’s skills and behavior towards specific events or exercises in realistic conditions. It also contributes to sustainable development of companies or training establishments (in fuel saving and CO2 emission mitigation) and helps to reduce the use and maintenance cost of their vehicles. 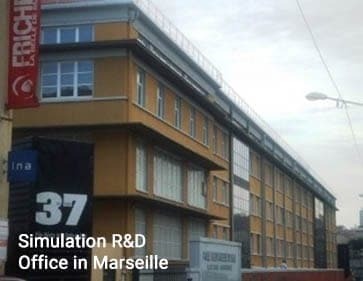 The company has a nationwide presence in France (85 employees – head office in Montpellier - show-room in Paris – Software R&D department in Marseille) and an International presence with a network of official distributors or global reseller partners in charge of the Ediser driving simulators promotion and distribution. Our international presence also enhances our position to react fully and promptly on specific and rigorous customer requirements (global delivery capabilities, true local services and maintenance, software customization and adaptation, train-trainer courses, Software updates…). Therefore, with more than 2 000 active driving simulators on the market (provided only for the past 13 years), Ediser is considered as a key player on the automotive driving simulator market. We are also actively involved with our clients to promote training, road safety and eco-driving. Our aim is to contribute to improve driver behavior and to make roads safer and eco-friendly.